Nose: Clearly sherried. Orange peel and candied ginger. Tangy and somewhat herbal. Green pear and cotton candy. Honey-lemon throat lozenges. After a rest in the glass, there is a fibrous fruitiness, like the skin of a red delicious apple. Even further in is a faint whiff of the nutty coconut I associate with bourbon-matured pot still whiskey. Palate: Unctuous body – mouth coating. Minimal burn. Spicy ginger, apple cider, and nondescript grain. 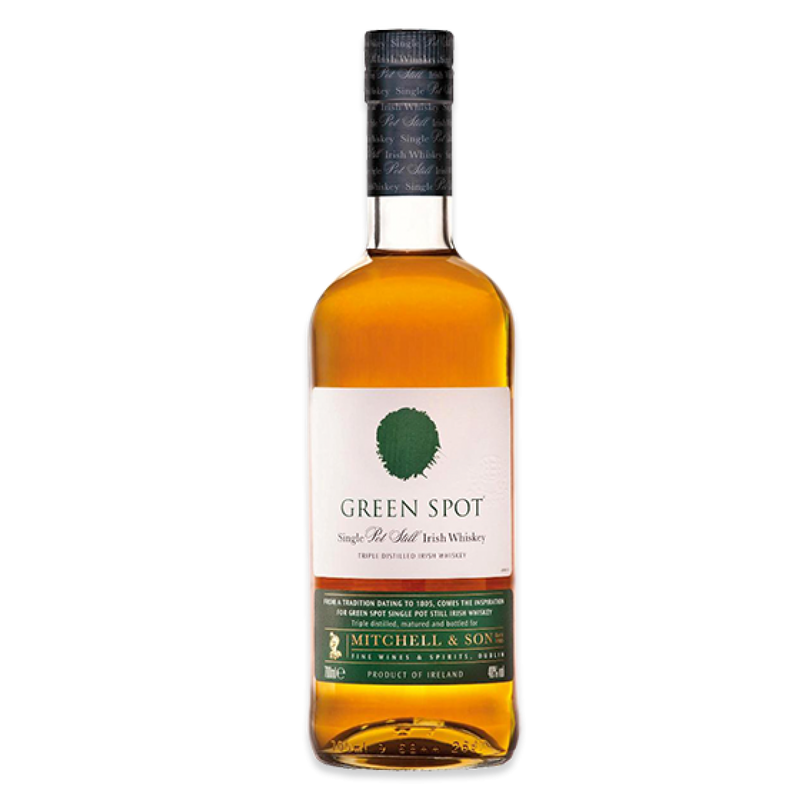 Notes: An impressive revamp in the packaging for historic single pot still Irish whiskey Green Spot, which is no longer only available in Dublin grocer Mitchell's and will surely benefit from the increased marketing muscle lavished on it by owners Irish distillers. A cult whiskey.